The Galaxy S9 and Galaxy S9+ Android Pie beta program has officially begun in all the phase one countries. The beta has gone live in Germany today, and we now have it running on a couple of our Galaxy S9s. Many of our readers will not be able to get into the beta program, either because it is not available in their country or because the slots filled up. We have already seen Android Pie in action thanks to leaked firmware, and we now have screenshots from the first Pie beta for you to check out. One UI is a dramatic change to how Samsung’s Android software looks and functions. There’s finally a built-in dark mode for the entire user interface to go along with the beautiful AMOLED displays on Galaxy smartphones. And it looks stunning on the Galaxy S9. There are, however, many elements of the UI and Samsung’s proprietary apps that aren’t dark just yet. Functionally, the interface is now designed to make it easier for one-handed usage and to offer the information you need most at a glance. The Galaxy S9 also gets some new features, such as Scene Optimizer for the camera and gesture navigation as an alternative for on-screen keys. As the beta program progresses, Samsung is likely to keep iterating and modifying the UI and features. What you see today may not be exactly the same when the official update rolls out, but the Galaxy S9 Android Pie screenshots are a good way to see what you can expect from the newest version of Android. Check them out below, and let us know what you think of One UI! Was wondering if the Exynos 9810’s firmware (scheduler) has been updated to improve performance? A well known online article showed improvements of 25~40% can be had from just two days of fine-tuning. I have to ask about navigation bar. Does anybody, who likes removing nav bar down(to be invisible), having some issue with some apps. For example, using Viber and trying to send Viber smiles, with nav bar present, i can see as many smiles as my keyboard wouldcover, but with nav bar down hidde , i can see only 3rows of smiles. Can’t wait for this to go live, it looks SO good. Tips ? you mean Rooting The phone i suppose. Haven’t opened beta tests in my area. Someone can help me with it？Setting up icons gear wheel is different from anywhere else.The phone icon are different in the interface. Icons Xiaomi + Window Phone theme = One UI!! Help me find my Samsung, please!! *Can we have the Trash/Bin folder in Gallery so if we accidentally deleted folders it goes there rather then deleted forever. *Can the rounded corners be less round. *Animated Edge bar like on Sony’s UI. *Ability to change the blue color icons on notifications from with settings rather than using a theme. *Screen off gestures like hard press home (Current on Oreo S8, S8 etc.) Double tap to wake. Swipe up, down, left, right to launch custom app. Third screenshot is duplicated. Check this ! Round, round… world’s going round and round and everything’s so round. Seriously, WTF are they thinking. 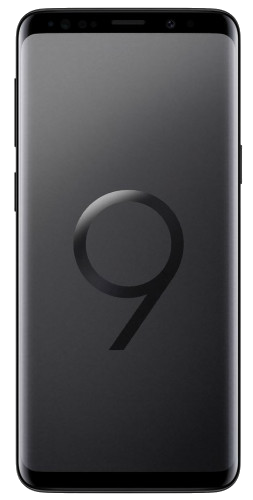 can anyone upload a ONE UI beta firmware for exynos S9Plus plz ??! Can sammobile upload this beta firmwere please ?!! Is it not possible to install German Oreo firmware through Odin, and then apply for beta? Wonder how one ui will see in tablet. Half screen empty?